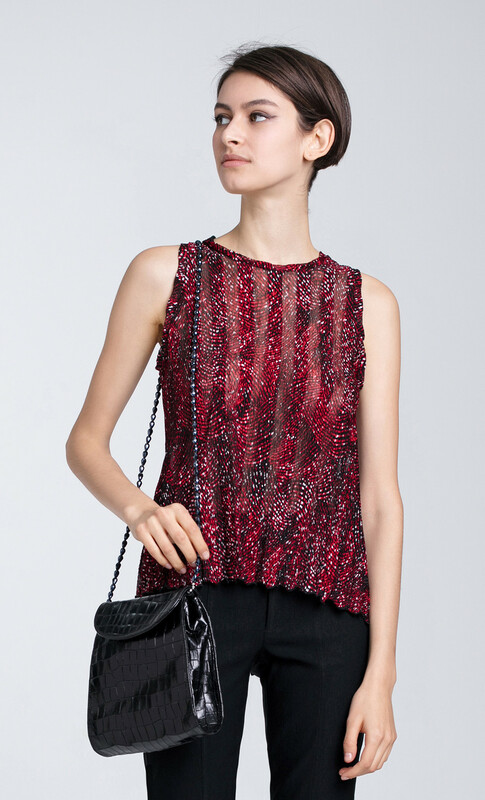 DORIN FRANKFURT's sleeveless top is made from fluid soft plissé. The sheer fabric is balanced by the modest silhouette, creating a sophisticated seductiveness. 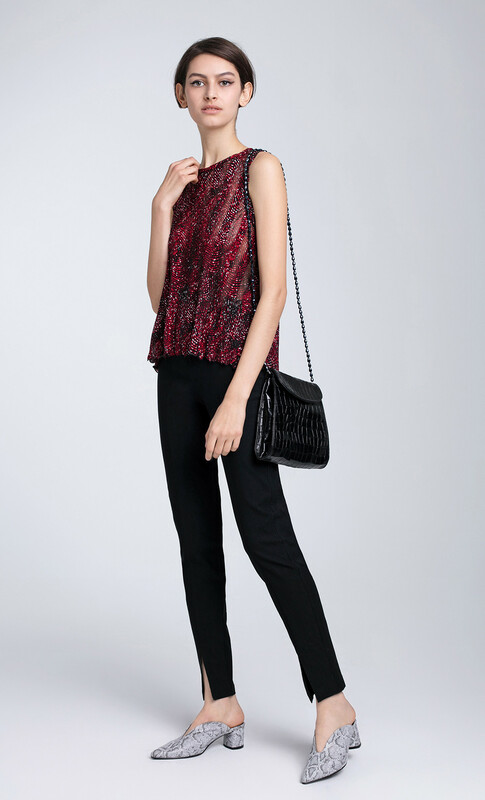 The slim fit is enhanced with a ruffled hemline, instantly elevating the elegant look. Wear it for evening events teamed with form fitting trousers and suede pumps.